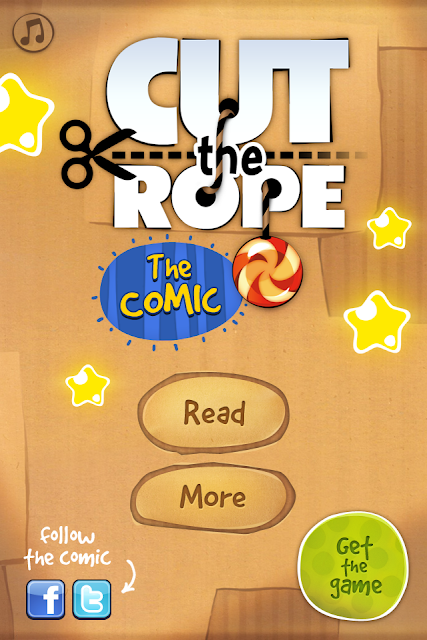 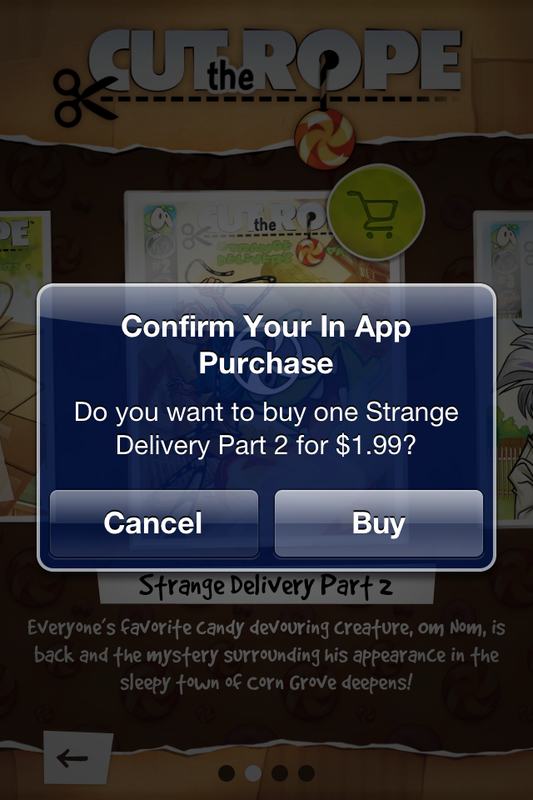 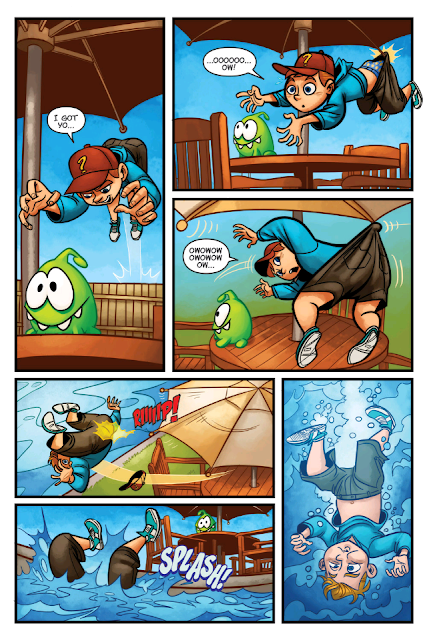 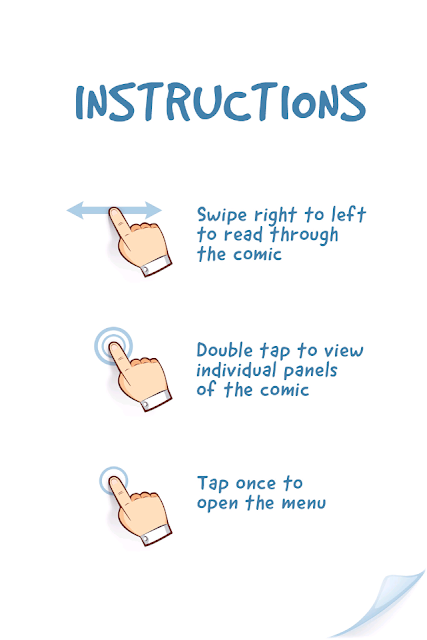 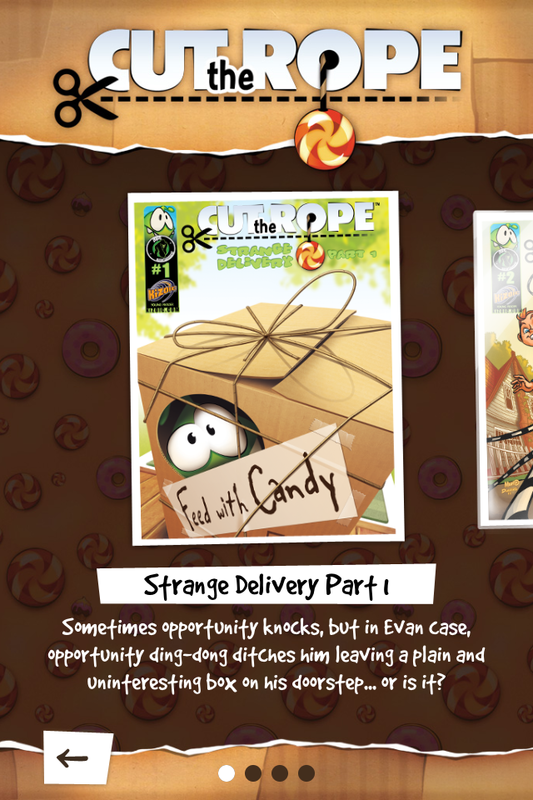 Starting Screen of "Cut The Rope: Comic"
tapping on the bottom-left icon (option not available for older iOS devices). landscape mode if necessary (may need to unlock "Portrait Orientation"). You need to pay US$1.99 per issue starting from Issue 2, as shown above.